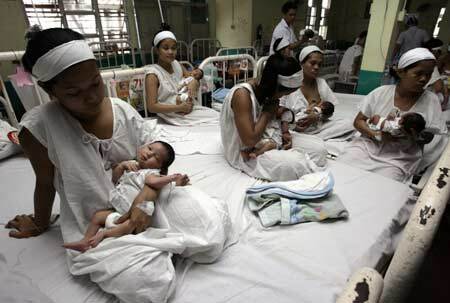 The Philippines’ population has now a total of 92.33 Million, according to the data released by the National Statistics Office (NSO). Experts said, Philippines is now being called "Asia’s biggest Catholic nation." To be exact, the total of our country's population have grown into 92,337,852 as of 2010 based on NSO's database. The total number was counted during the 2010 Census of Population and Housing conducted last May to June 2010. The population counted last 2010 was increased by 15.83 Million from the last 2000 population of 76.51 Million. 37.47(%) percent of the total population are covered by Calabarzon, National Capital Region (NCR), and Central Luzon, which makes them as the most populous areas in the country. Calabarzon (Region IVA comprising the provinces of Cavite, Laguna, Batangas, Rizal and Quezon) had the largest population with 12.61 million, then next are NCR with 11.86 million and Central Luzon (Region III) with 10.14 million. The 2010 census was made to take an inventory of the population and housing units nationwide and to collect information about their characteristics. Comments or suggestions about "Philippines population increased to 92.33 million" is important to us, you may share it by using the comment box below.